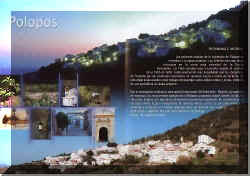 Castillo de Baños (Castle of Baths) is a small village close to La Mamola. It has a Restaurant and a small supermarket. It is also where the area's main Camping Site is situated, which has a swimming pool and Bar/Restaurant. The town's excellent sub-tropical climate makes it possible to enjoy more than 2.5kms of beaches at La Mamola and Castillo de Baños all year round and of course the climate is also ideal for enjoying nature. La Mamola is a town located on the seashore, under the protection of the Torre de Cautor (The Tower,16century), which has an undeniable historical value and is easily accessible for a visit. Also close by and well worth a visit is the emblematic Castillo de Baños (Castle Of Baths,18th century) located in the small village of the same name. 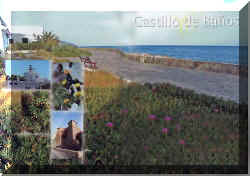 Visitors to Castillo de Baño will soon be able to enjoy visiting the Centro de Interpretación de las Defensas de la Costa Granadina ( Center for the Interpretation of Granada's Coastal Defenses). The Playa de La Mamola (La Mamola Beach) offers clean waters, with several jetties for fishing, Bars, Restaurants, Small Supermarkets, Bakers, Fishmongers, Gift Shops, Post Office, Tobacconist, Hardware Store, Chemist, Doctors Surgery & Bank with Cash Machine. The Mountain and Maritime character of the area offer a variety of delicious foods that include the best that both the land and the sea have to offer. 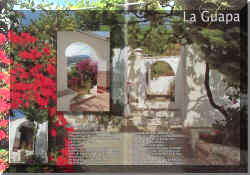 La Guapa is a small village on the road up to Polopos. 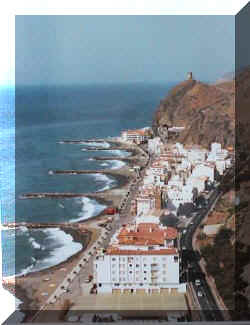 It is within walking distance of Castillo de Baños and the local beaches. 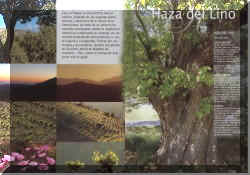 Hazo del Trigo is a small village located more inland from the Coast. It is a typically Andalucian whitewashed village which has a shop/bar. A large new restaurant/bar are going to be opened. 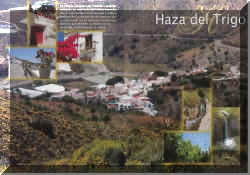 soon..
Another inland village which like Haza del Trigo & Polopos hangs from the spectacular cliffs and edges of the Sierra de la Contraviesa. This is a privilaged mountain environment where the natural vegetation combines in harmony with the traditional crops of almond trees, grape vines, fig trees and carob trees. Strolling through the fields and along their paths, riding through the landscapes on a bike, or practicing adventure sports.